Special Assets for your campaign! I recently came back to TDM with the update and i played a lot of the new missions. I feel tho that you guys seem to miss assets. The missions always use 90% the same assets, i cant believe how many estates and mansions with the same assets i saw up to yet! I would like to help out a bit, like with special stuff. Creating nice items to steal, or new furniture and plants. I also do machinery and all these door assets. If you need somethin just throw me a message or a post. Welcome, and thanks for the offer. What kind of modelling do you do? I dont want to start posting pictures of random stuff i made and i dont want to come of as any sort of expert. I red your wiki and i have a hard time with the Modelling systems, but i think with a bit help in logistics we can do this. I am using Maya, Gimp and a bumpmap tool. I wont do animations, thats sadly just too much. I would like to start with small items after peoples wishes. I really need to try this out! I really think you guys need more assets! Edited by Filizitas, 09 June 2018 - 09:53 AM. That thing will take more then a few hours, but i take the job!!! What texture resolution do you want? Probably 1024x1024 would be best. Thanks! So ok, i didnt touched the bump map yet... and i am not sure about the feet. I added the normal map. Edited by Filizitas, 09 June 2018 - 12:21 PM. Hello Filizitas, and welcome. Hey, I quite like your model! I like the proportions of it, it looks pretty good from that point of view. Awesome start. I do think the feet need a bit more work, the anatomy needs to be a little more realisitc. You have the opportunity there to do a little sculpting if you want, the tendons, veins and bony parts, as well as the nails. But if that sounds like too much work, Im sure its nothing you cant find online, some free model with some cool looking feet you can basicly paste on your mesh. Good start with the texturing as well. I would however like to see the ropes as geometry, instead of a diffuse drawing. It will give the model a lot more punch. For such a fast model, great work. I noticed you dont animate, but since Springheel's references show the corpses in different poses, once you guys are happy with the results, send it over to me and I can rig it and pose it in a few different ways (unless Springs wants to do it himself). Sadly you work with Maya, and I use blender, that might make it a bit hard, but its worth a try. Edited by RPGista, 09 June 2018 - 12:26 PM. Zbrush was a real baddie today!!! I do animate too by the way, its just, i cannot and dont want to add that too here. Edited by Filizitas, 09 June 2018 - 12:30 PM. Sure, I know the feeling, I hesitate to delve too much on animation myself because 100% of what I do professionally (architecture wise) is about static models, so I should definitely be focusing on that alone. But Ive been looking into animations for TDM recently and I can help with simple stuff now. Have fun modeling. Yay! We definitely need more people willing to make new models. Furniture and loot items are a good place to start, since they do start feeling samey after a while. It's quite hard to create variety in our missions with the limited sets we have. Yes i want to add stuff for you guys. Edited by Filizitas, 10 June 2018 - 04:44 AM. Tres nice. And welcome to the forum. You help is appreciated. It's coming along! I don't know how far along you are with the textures, but at the moment there seems to be a seam running up the front the looks like a zipper? I can vanish the zipper if ya want, i just need to fix the feet a bit more. I may just modell real feet. Open fo new things to create! Edited by Filizitas, 10 June 2018 - 01:06 PM. Looking good! The normals are coming along, and the ropes are a nice touch. You could probably make them a bit thicker or add a few more loops so there'll be no empty spaces between the ropes and the body bag. Theres however a very strong seam going all the way on top of the body bag, did you detach the vertexes there? Hopefully its easy to fix. The uv seam should go along the side or the botton of the mesh. Since its a unique model with its own texture maps, you are free to paint over the seam and make it disappear. They are already in the game scale, for you to use as reference (10,5 units high, about 27cms, as 1 unit in idtech4 equals 2,54cm). They are high poly for you to use and bake the normals. I did a simple decimating here in blender and could get them down to around 1000 tris each with little loss in quality, so you can go even a bit further in maya once you get them in place, etc. Ideally the whole model should be what, 3000 tris in total (Springheel)? PS: Dont worry about the process of importing the models into game for now, we'll be able to help with that once everyone is happy with the result. Edited by RPGista, 10 June 2018 - 05:45 PM. I would suggest to "tighten" the coils: just try to create a small dent in the body and fit the coils into them. 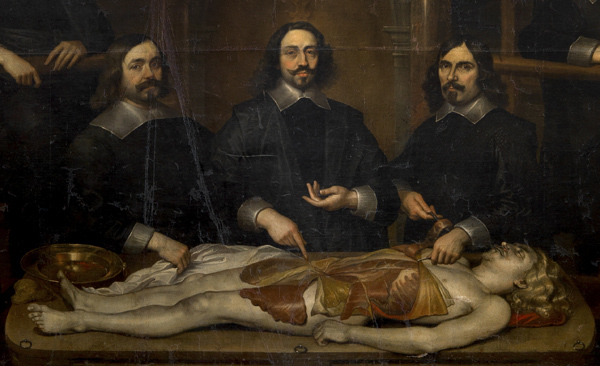 Currently, they look like they are just lying on top of the body, but as a human body is soft, they would slightly cut into the flesh, causing said dents in the body. What coils? What are coils?? The ropes, sorry. They are coiled up around the body, hence my choice of words. The feet needs much more work when it comes to shape and color, right now it looks like a marble sculpture of grandma which have too much fluid in her legs. Please put much more attention to them, this is the only detail that will tell inside this rag is a human, not some clothes or mannequin. And contrast between well done feet and unknown humanoid shape covered in cheap textile will bring much more drama to situation where player will see this model. First general shape, its too square, bold. Human feet is more trapeze than rectangle, the bones for fingers start much more earlier than you showed. The model RPGista shows shows is much more better at showing human feet. Also fingers at your model looks swollen. Fingers have thicker and thinner area while I understand its hard to model each one separately, and I know nothing about digital sculpting but applying more care and variety to shades and depth between fingers area would make them more realistic. Also thumbs are in inner site of foot, and small fingers often is really small or kinda deformed. Common, but not always index finger is a bit longer than thumb. Please, gather reference photos and try to copy what is going on there on your work. The difference between good and weak art(as painting, drawing or sculpture) is amount of tiny details and subtle differences artist put, and that means effort. Another thing colors, dead flesh isn't pure white, of course is lighter, grayer, but mostly is yellowish. 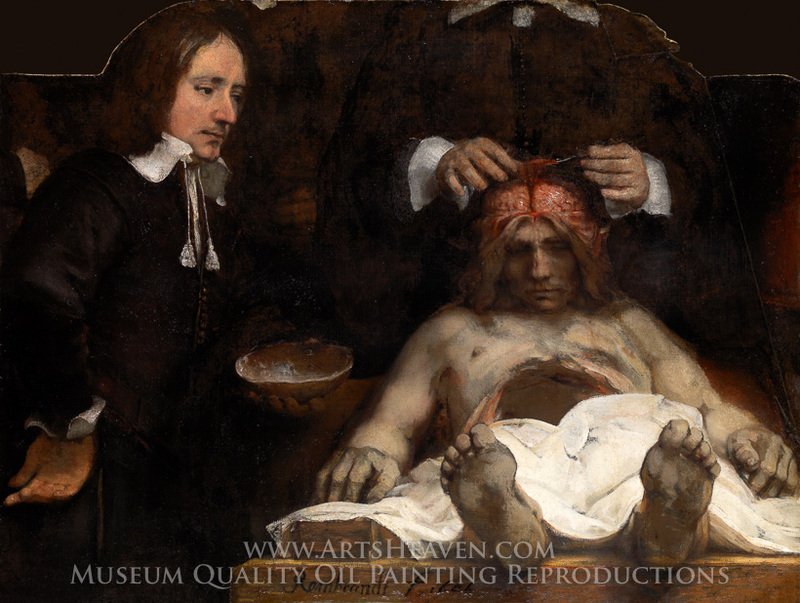 The Anatomy Lesson paintings are good resource to how dead but not decaying human body looks like that seems legit visually, but isn't as traumatizing as looking at uncensored photos on the internet. I paid 3 minutes to gather these paintings. While you are correct in all your points, it's just a background prop and the amount of work on that model will be much less than with a main piece in the scene. Maybe if you're a character artist, you'll be doing such stuff right with every try. But if you're not, current result will do. Players will look at it for like 1 or 2 secs, thinking, "okay, that's a body bag", and will move on. While raising your skills is always a good thing, spending so much time on that kind of model isn't exactly the best idea. Edited by Judith, 12 June 2018 - 06:35 AM. I see your point, which is right but I also need 1-2 seconds to notice the foot model is wonky from all the points I said in earlier post which I will mark as essential to make the model better would be make overall shape of the model to be more close with how average human foot looks like. But depends on Filizitas what they will decide to do with this model.